Locality: United States, Tennessee, Cheatham, United States: Tennessee: Cheatham County. Petals white, anthers yellow, limestone shade banks; Marrowbone Creek vicinity Tenn 12. Notes: [Admin. 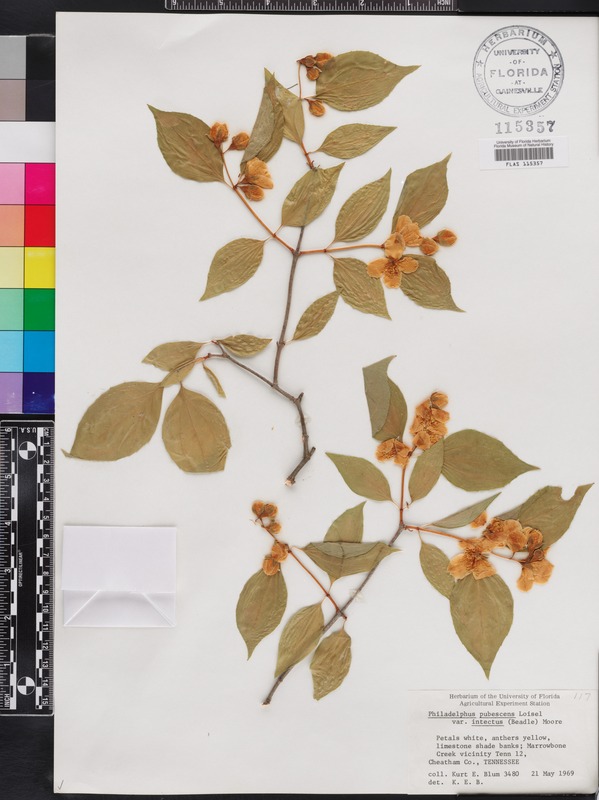 note:] Sent for a treatment of Philadelphus for Flora of North America by Dr. Alan Weakley and Ms. Allison Weakley, FLAS loan 2006-13, 27 Jun 2006. Specimen returned unannotated, 25 Apr 2015.